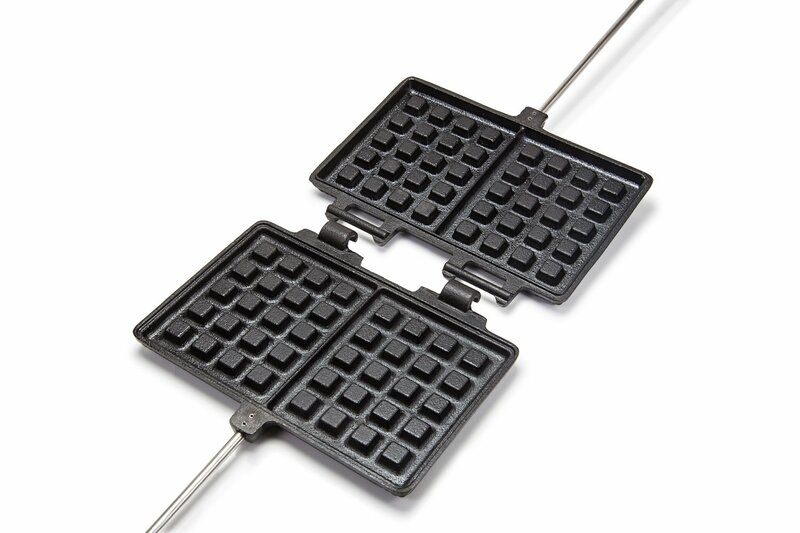 Whether at the campfire or on the grill, you can make crispy waffles or perfect sandwiches with these cast iron moulds. The locking hook keeps both halves of the iron safely together. The excellent material properties of cast iron allow you to sear meat as well as to use the residual heat for baking or cooking. For cleaning, you can separate both halves at the hinge.